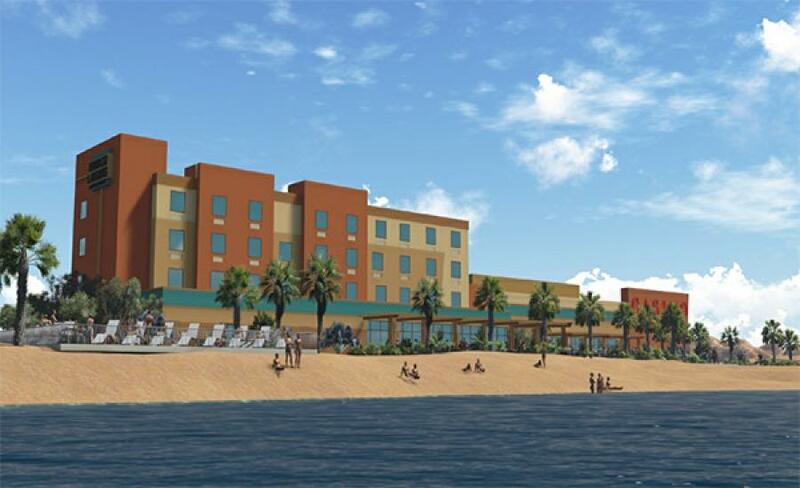 Today's News-Herald reports the 25,000 sq.-ft. Havasu Landing Resort and Casino will feature 48 hotel rooms and 320 gambling machines and tables. LAKE HAVASU CITY, Ariz. (AP) — The Chemehuevi Indian Tribe broke ground on a new $40 million casino and resort in California across the border from Lake Havasu City, Arizona. California-based Bernards Bros. Construction has slated the project to be ready for opening in the spring of 2019. The Nov. 14 groundbreaking ceremony marked the next step of the project that officials began planning in 2014. Chemehuevi Tribal Council Chairman Dennis Patch says this project isn't about economic development but about economic independence for the tribe. The facility will also include a restaurant and a marina. The ferry from Lake Havasu city will be diverted to the new casino upon completion.